In Future Trends – Counterfactual Quantum Communication we look at new ways of communication, Apple’s new HQ (wow! ), how modern prototyping is changing, A prototype computer with 160TB of memory, and why Amazon is eating the world. 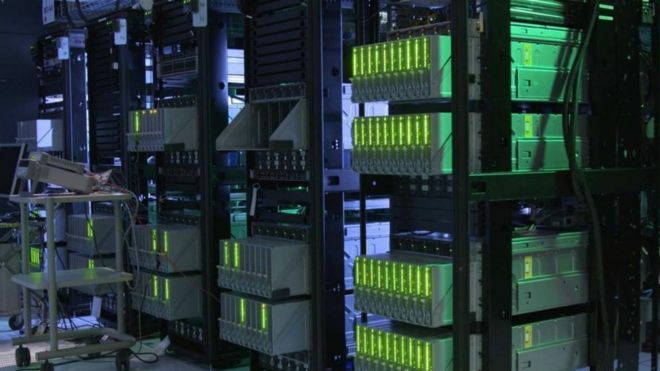 A prototype computer with 160TB of memory has been unveiled by Hewlett Packard Enterprises. Designed to work on big data, it could analyse the equivalent of 160 million books at the same time, HPE said. The device, called The Machine, had a Linux-based operating system and prioritised memory rather than processing power, the company said. HPE said its Memory Driven Computing research project could eventually lead to a “near-limitless” memory pool. “The secrets to the next great scientific breakthrough, industry-changing innovation or life-altering technology hide in plain sight behind the mountains of data we create every day,” said HPE boss Meg Whitman. My first company, an auto parts manufacturer, sold to Amazon both as a vendor (where Amazon issues purchase orders for bulk product) and as a “Marketplace seller” (where Amazon takes a cut of a third-party sellers’ products sold on Amazon.com) — so I have some insight into Amazon’s internal operations and initiatives that aren’t often publicly discussed. I’ve followed AWS and Amazon’s other various offerings for some time, as well, and Amazon as a company has become something of a personal obsession of mine. I have some further thoughts on Amazon and the impending retail apocalypse that I wanted to share for those who are interested in the overall future of retail. Consensus is that we’ve hit a tipping point and the retail industry is finally seeing some major collateral damage from Amazon’s monster growth — and mainstream/non-tech news has started giving this a lot of coverage. There is a lot of discussion about whether Amazon’s advantage is sustainable or whether other retailers (namely, Walmart) will be able to mitigate Amazon’s dominance as they start to replicate Amazon’s model.